When thinking about nineties films prime for a modern reimagining, Jumanji certainly is not the first to come to mind. Yet the Hollywood machine has decided to update the board game adventure into a retro video game action film with plenty of comedy to go around. Throw in a couple of likeable (and bankable) stars and the franchise may just become something viable and surprising. 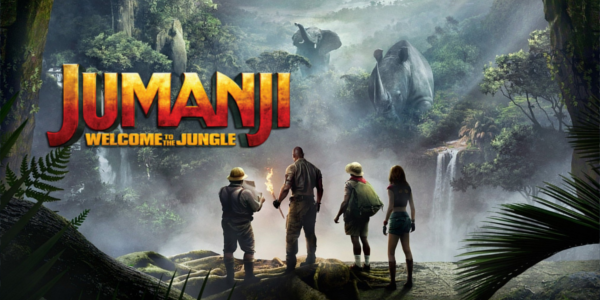 More than anything, Jumanji: Welcome to the Jungle feels like a fun action video game in that classic retro style. It obviously diverges from the original’s feeling, but it feels strangely connected in a way, even throwing a few nods to it as well. The whole adventure element is rather basic, but it certainly doesn’t need to be complex either. The film knows what it is and really benefits from not deviating too far from that. Having one of the most charming stars leading the way in Dwayne Johnson will definitely help your film in some way, without question. The actor in his element here as the hero, though with a few twists thrown in there. Karen Gillan is always a joy to watch. Kevin Hart is Kevin Hart, a typical character for him to play even with the supposed teenager personality. But by far the highlight, at least comedically, is Jack Black. Say what you will about the actor himself, but here he manages to nail the teenage girl mannerisms almost better than the teenagers themselves. All of them have good chemistry and it opens up quite a bit of comedic opportunities. Jumanji: Welcome to the Jungle surprisingly uses its video game roots to its advantage, with both humor and action. That being said, while the action is entertaining, there are moments that break the motif a bit, though it is hardly a huge problem. And while complimenting the clever moments of the film is certainly unexpected, the film contains plenty of juvenile stuff as well, hardly removing itself completely from the silly nature of it all. 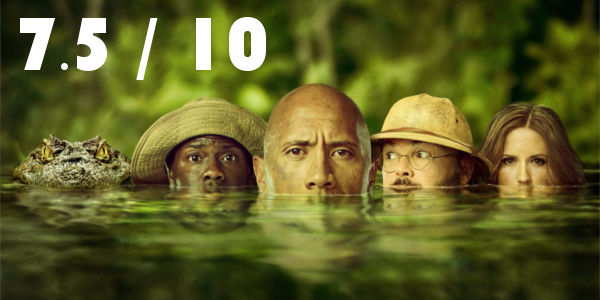 Overall, Jumanji: Welcome to the Jungle, while hardly complex or too demanding, is a clever reintroduction of the concept that works for the fun, silly, entertaining film that it is. The cast is enjoyable and likeable, a necessity for a film like this, and the action is really entertaining. The film isn’t the best, its quality is still up for debate, but as an action/comedy for the whole family goes, Jumanji: Welcome to the Jungle really winds up being one of the more shocking successes of the year. So what did you think of Jumanji: Welcome to the Jungle? Have you seen it? Are you interested in seeing it? Share, subscribe, comment below, and as always return to I Am Sam for weekly reviews and insight.